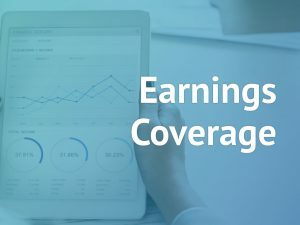 Medical marijuana company Tilray (TLRY) reported second quarter 2018 results, the company’s first-ever quarterly results, after it went public in July 2018. 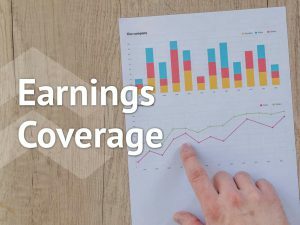 Net loss widened to $12.8 million or $0.17 per share from a loss of $2.4 million or $0.01 per share in the prior-year quarter. The recently ended quarter’s net loss includes non-cash stock compensation charges of $5.6 million. 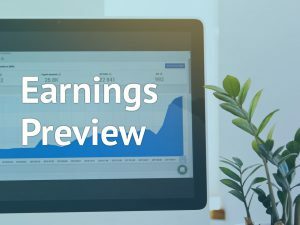 Revenue surged 95% to $9.74 million in the quarter, surpassing the consensus view of $9 million. Shares of Tilray, which hit a new high ($58.68) on Monday, closed today’s trading session with a decline of 3.63% at $51.50. The stock surged more than 10% during the extended market hours. “We are very pleased with our strong start to 2018. Tilray is well-positioned to continue to pioneer the development of the global medical cannabis market and to become a leader in the adult-use cannabis market in Canada,” said Brendan Kennedy, CEO. Total kilogram equivalents sold increased 745 kilograms to 1,514 kilograms, or 97%, compared to the prior year. The company completed exports to Argentina, South Africa and the UK during the second quarter. Tilray is the first pure-play marijuana company to get listed on the Nasdaq stock market. The firm’s share price more than doubled since it started trading in July this year. Recent business partnerships give the company a competitive advantage in tapping the initial adult-use market share in the US. 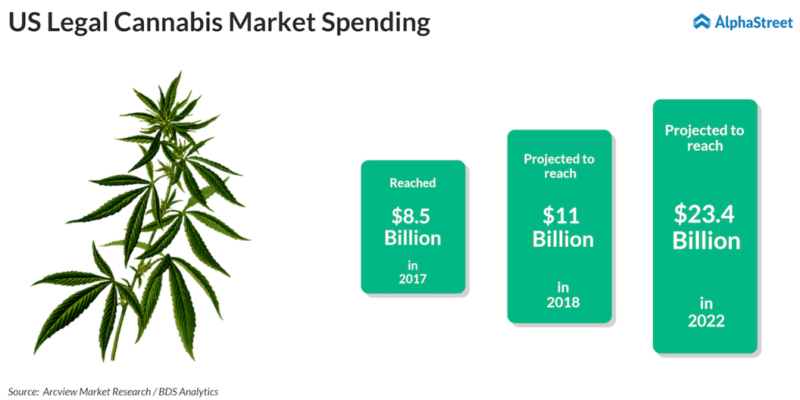 A report released by Arcview Market Research/BDS Analytics in June 2018 states that the US legal cannabis market is estimated to reach $11 billion in consumer spending in 2018 and $23.4 billion in 2022. This growth has the potential to generate more than 467,000 full-time equivalent jobs by 2022. Moreover, the latest developments indicate that businesses are starting to realize the potential of legal marijuana. Recently, Corona beer maker Constellation Brands (STZ) upped its stake in the world’s largest medical marijuana company Canopy Growth (CGC) by acquiring 104.5 million shares of the Canada-based company for C$48.6 per share. There were reports saying that the UK-based alcohol maker Diageo Plc is in talks with the cannabis companies to develop a partnership. The pot stocks are gaining the interest of investors as well as the alcohol companies as recreational marijuana is set to be legalized from October 17. The Nanaimo, British Columbia-based company also reported today that its subsidiary Tilray Canada Ltd. was selected by the Nova Scotia Liquor Corporation (“NSLC”) to supply adult-use cannabis brands and products. Meanwhile, peers Canopy Growth slipped 6.74% to $43.20 and Cronos Group (CRON) slumped 7.97% to $11.08 when the market closed today. However, both the stocks were trading in the positive territory after the bell.